Salut mes amis! Hope your weekend went great and you're enjoying its remainder. Sunday is usually my pampering day and this post is a review of one of my new favorite indulgences. 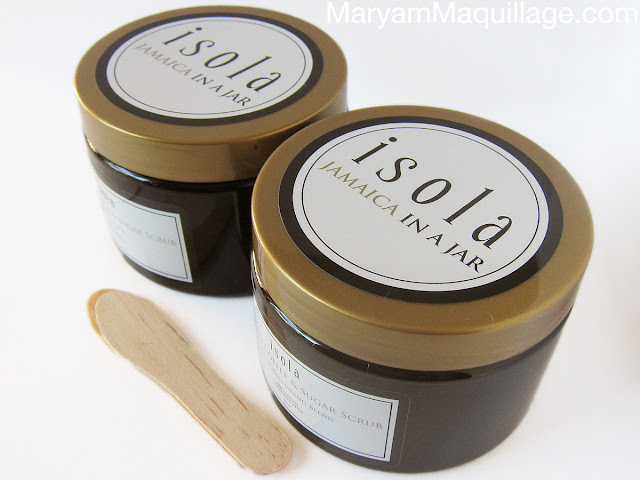 As you know, I've been exploring the greener side of beauty & skincare, and today, I'm excited to share my latest discovery: Isola Coffee & Sugar Body Scrubs. Read more for complete review! Salut mes amis!! September's Glossybox is here and it may just be the pinkest, prettiest and glossiest box yet! This month's "Fall Forward" theme features five innovative and multi-tasking products that not only perfect, but also enrich and pamper your beauty routine. This month's box offers three full sized items and let's face it -- three out of five ain't bad!!! Bonjour mes amis! It's official, fall is here and I'm eager to dress up in rich colors, cozy fabrics, luxurious scarves and tough leather! My association with fall is a depiction of me rushing to the subway to get to class, with bitter NY wind slapping my face, and my grande mocha soothing my nerves as I scramble to find my metro card. It's a story most New Yorkers are familiar with and one I am happy to leave behind! This year, I'm celebrating not having to rush to class, and I'm also excited to change up the look of my autumn makeup from school appropriate to party ready! Today's makeup is dark, shimmery and demure -- perfect for nighttime and fit for a City-Kitty! I'm a huge fan of darker makeup, it always makes me feel like a chic, sleek, powerful heroine in an awesome thriller, and I'm excited to tell you all about it :)) P. S. This look can be achieved in under $30 -- those are some serious savings that any street-smart city chick can appreciate! Read more for info, deets, tips & how-to! Hello old friends and new!! 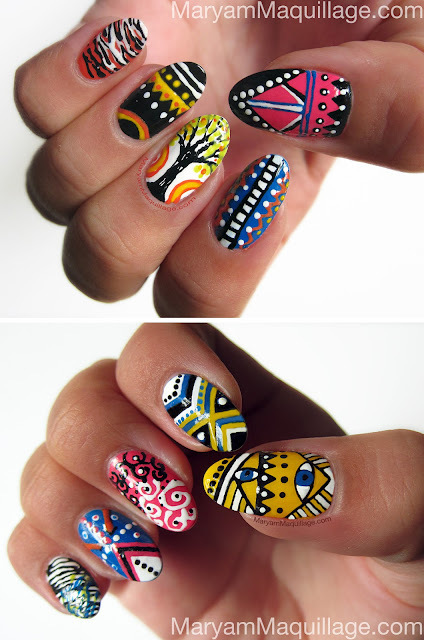 Today's post is a showcase of my latest nail-art, featuring a hand-painted collection of 10 distinctive designs for each fingernail. I created this nail art with no theme in mind -- I was just practicing my micro-doodling -- the result: a melting pot of swirls, scribbles, tribals, abstract & realism. This creative chaos combines some of my favorite elements in art (which is so very me) and is pretty cohesive overall. What do you think? Can't Live Without My "Maryam"
Salam dear friends :) Today's post is long overdue and is featuring my favorite keepsake: my silver "Maryam" necklace. As you know, I've started to incorporate more and more accessories and style posts, and I couldn't exclude one of my most worn jewelry items and personal faves. 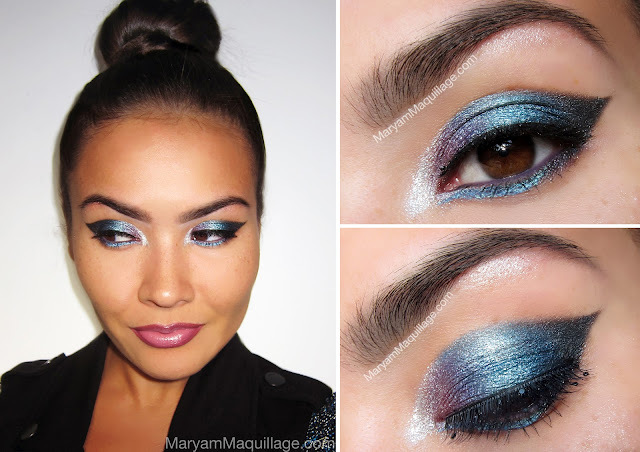 I've worn my "Maryam" in many different posts and have always gotten a ton of compliments, as well as questions, so today, I'm giving you all the info and even including a makeup look inspired by the piece. Hello old friends and new! Fashion Week is over and I'm back to my regular blogging schedule -- woo-hoo!! I must admit, the past few weeks have been extremely fast-paced and tiresome on my body. I've attended many events, met a ton of people and have worn A LOT of makeup. Given the circumstances, my skin hasn't had much of a chance to breathe or regenerate itself and with all the stress I've put it through, I was expecting a massive breakout-age the week following all the activity. This time, however, my skin was saved. Lucky for me, a wonderful care package arrived my way just in time and although my skin had faced the worst possible conditions (constant makeup, lack of sleep & stress), these conditions were met by an equally powerful antidote: Zen Society skincare. In today's post, I want to go back to the roots of nature and share a review of the Green skincare line that proved itself in the time I needed it most. Salut mes amis! Today's post is my final coverage of NY Fashion Week and I'm excited to present Bonkuk Koo, one my favorite runway collections of the season. The show, presented by Stoli, was all about class and taste -- from the exquisite designs to the impeccable styling to the glamorous makeup -- Bonkuk Koo left me intrigued and yearning for more! 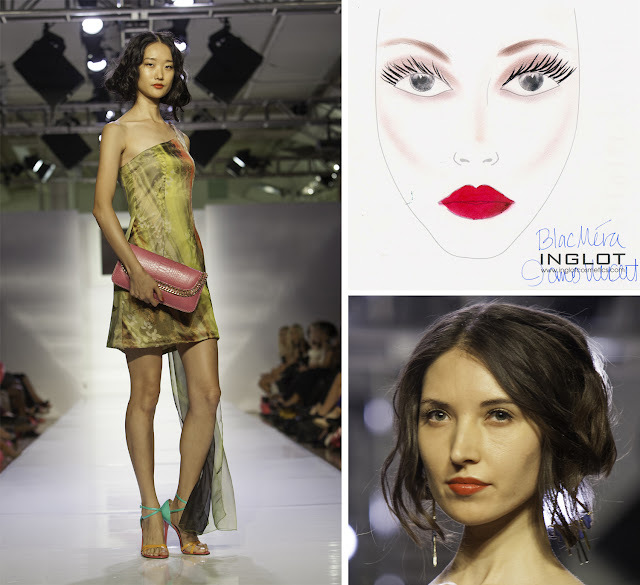 The makeup for this show was done by Inglot with the expertise of key makeup artist James Vincent. Bonjour mes amis! Fashion Week may be officially over, but my runway recap is still going strong. Today's post is covering the BlacMéra show I attended on Wednesday, with makeup sponsored by Inglot and realized by the legendary makeup artist, James Vincent. Bonjour mes amis!! It’s NY Fashion Week and this year, I’m excited to be covering the latest fashion and beauty trends straight off the runway! On Friday, I had the pleasure of attending the Behnaz Sarafpour fashion show for her 2013 Spring / Summer Collection at the Jane Hotel in the Meatpacking District of NYC. 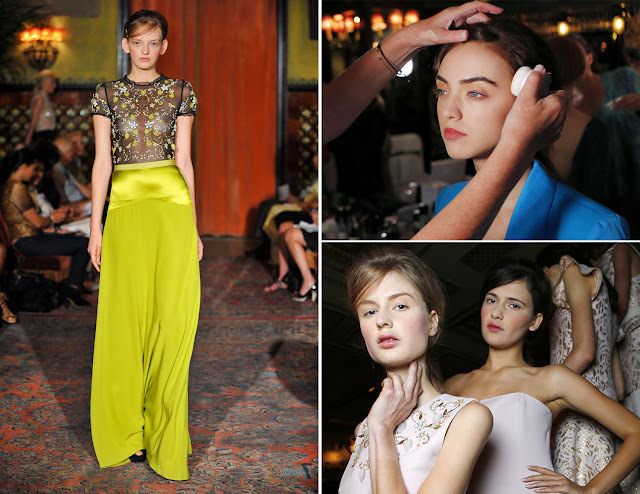 The collection was supported by makeup from Missha with key makeup artist Val Garland, and hair by Aveda. Dress Up Your Labor Day Whites! Hello old friends and new! Today is Labor Day, a federal American holiday observed on the first Monday in September, historically celebrating the economic and social contributions of workers. Culturally, this holiday marks the unofficial end of summer, and symbolically, it is the last day of the year when it is fashionable to wear white. Although, this tradition was mostly observed in High Society, it has become a pop culture fad and is often celebrated with "White Parties" hosted by popular celebrities in upscale locations such as The Hamptons, NY.